By enrolling in this program, you are opting in to receive emails from Melissa Asteya. Your email is safe with us. It will never be shared. 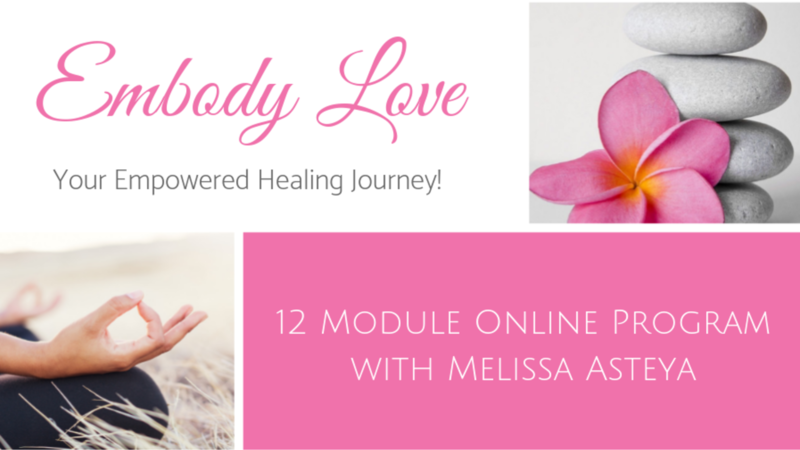 Due to the highly transformational nature of the Embody Love: 12 Module Program, you will have 5 days to explore Modules 1 & 2 to decide if the Embody Love online program is the right fit for you. If it's not, you can cancel your enrollment by emailing Melissa within that 5-day window at [email protected]. Refund requests must be received within 5 days of purchase. You will receive a full refund, minus a $50 processing fee. No refunds are given after the 5-day refund period. Any decision you make for non-participation after the 5-day refund period expires will not be a valid reason for a refund request. Mindfulness Tools for Self-Awareness, Empowerment, Healing, & LOVE! Begin your Embody Love Journey Today!